PhilaPort is the grantee of FTZ #35 which covers Southeastern Pennsylvania. 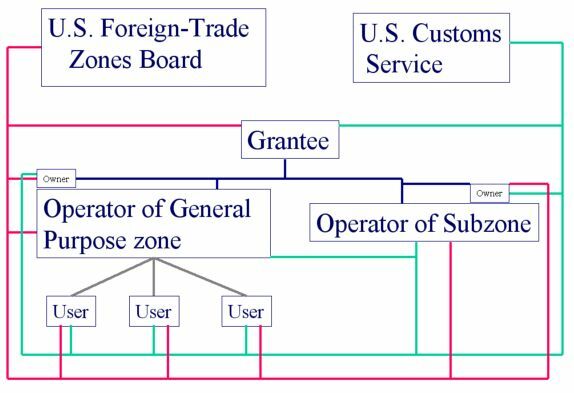 A Foreign-Trade Zone (FTZ) is a duty-free, quota-free, secured area in a designated customs “port of entry,” considered outside U.S. Customs territory. FTZs were created to neutralize negative U.S. tariff impact on products used by manufactures operating in the United States and to keep U.S. businesses competitive with businesses operating offshore or overseas. Though the benefits of operating in a FTZ vary, they are substantial, and are certainly worth investigating. Within a zone, foreign goods can be brought into the United States without formal customs entry for warehousing, assembly, manufacture, display, destruction or other processing. Duty payments can be deferred, reduced or eliminated when an FTZ is utilized. A General Purpose Zone normally has indoor and outdoor storage space used by a number of companies. Sub-zones, on the other hand, can be established for individual companies conforming with the regulations of the Foreign-Trade Zones Act. Savings on duty and other costs can be significant if imports are modified within the zone. Companies wishing to establish a sub-zone must submit, together with PhilaPort, an application to the FTZ Board in Washington, D.C.